Use our form below to a request a free estimate on your Tree Removal needs in the Columbia, MO area. 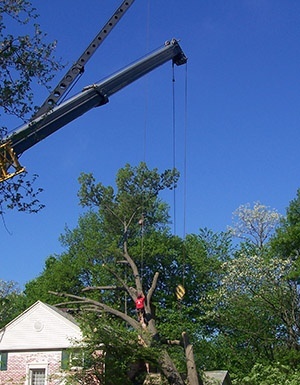 When you need tree removal in Columbia, MO, you can lean on the team at Columbia Tree Work to provide you with the quality service you need. Tree removal may be recommended for one or two trees on your property, especially if you want to enhance your property or the trees have become infested with pests or disease. It is common for a tree to not be able to withstand a strong storm, and when the tree becomes weak or falls over, it needs to be removed from your property to protect your land. If the tree is not completely damaged, it may be able to be nursed back to health in some cases. At Columbia Tree Work, we are committed to providing you with the best tree removal services throughout the local area. If you would like to receive a free quote for services, contact us now. There are several reasons why a tree may need to be removed from your property. Unfortunately, it is difficult to watch them go, but there may not be another alternative. One of the main reasons why a tree must be removed from a property is because it poses a risk to the actual property. Trees that hang low, near homes, or are damaged and leaning need to be removed to prevent them from falling onto the home or business owner’s building or land. Another reason that a tree may need to be removed from your land is because it is in the way of an expansion. If you choose to add an addition to your home or add a pool to the backyard, trees that are in the construction area need to be removed to make room. Lastly, a tree may need to be removed from your property if it is infected with a disease or if pests have invaded the tree. When this occurs, your tree can spread the disease and pests to other trees on the property, so it is usually a good idea to remove it. If you are in need of tree removal in Columbia, MO, contact the team at Columbia Tree Work today to schedule a free estimate. If you need to have a tree removed from your property, you may be wondering just how much it is going to cost you to do so. There are several factors that determine the price of the service. First, the price will depend on the size of the tree. When looking at the size, the width and height of the tree will be taken into consideration to provide you with an estimate. The larger the tree is, the more it will cost simply because it will take more manpower. The second cost factor is whether or not additional services for the tree may be needed. For example, do you need to have the stump removed too? Are you going to try to have pest management services performed on the tree first? All of these additional services will factor into the cost, as well. Lastly, the difficulty of the job will determine the cost of it. If a tree is in an awkward spot or if the tree needs to be trimmed down first before it is removed, this will influence the actual price. 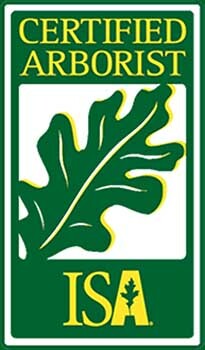 If you would like to receive a quote for tree removal in Columbia, MO, contact Columbia Tree Work now. If you have unwanted or dead trees on your property, it may be time to remove them. The team at Columbia Tree Work is here to help you safely remove these trees from your land. We have over 30 years of experience in the field and our team of trained and skilled experts will work alongside you to determine which trees need to be removed. In addition to our tree removal services, we also offer tree transplanting, tree trimming, and stump grinding to ensure all of your needs are met. If you would like to receive a free estimate for tree removal in Columbia, MO, contact our office today at (573) 881-2144 to schedule an appointment.